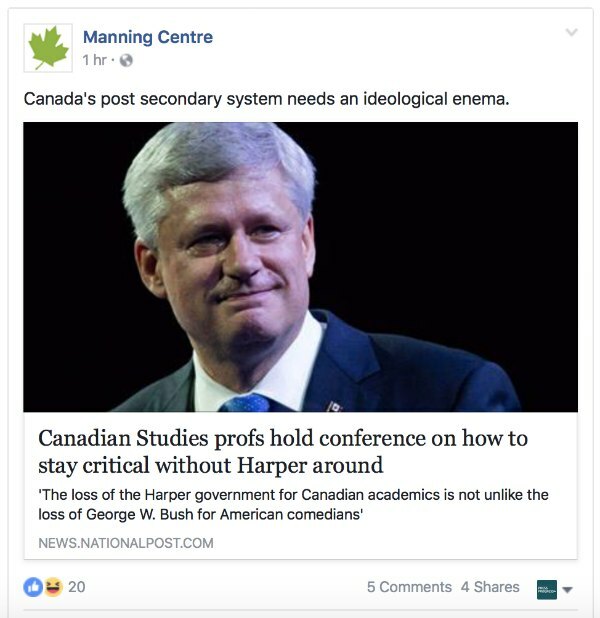 The Manning Centre, a right-wing think tank founded by former Reform Party leader Preston Manning, is calling for an ideological cleansing of Canadian universities. For a bunch of so-called libertarians, they don’t sound big on academic freedom. “Canada’s post secondary system needs an ideological enema,” the think tank write in a new Facebook post. In reality, the conference is organized by Carleton University’s School of Indigenous and Canadian Studies, a discipline designed to engage in a “robust critique” of governmental policies with an eye to the “social and cultural problems” of the day. In other words, yes, they are supposed to think critically about government. While a release about the conference does indeed refer to the Harper government’s attacks on “the infrastructure that underpins academic research in this country,” and suggests papers consider the theme of post-Harper Canada, the actual list of topics suggested by conference organizers doesn’t actually mention the Harper government. But isn’t it interesting to see the Manning Centre so concerned about ideologues lurking around Carleton University? Only a few years ago, the Manning Centre found itself “front and centre” in a controversy that saw the think tank’s namesake secure a $15 million donation to Carleton University from billionaire oil tycoon Clayton Riddell. Thanks to the deal, Preston Manning and Manning Centre Director Cliff Fryers were appointed to a steering committee overseeing the program. Carleton University’s administration would eventually concede the deal didn’t reflect the university’s academic policies and agreed to renegotiate the contract. Photo: City of Toronto. Used under a Creative Commons licence. 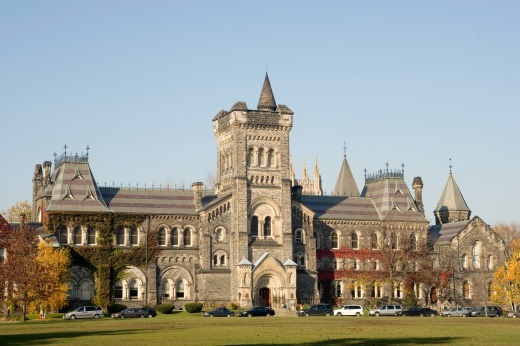 Manning Centre says give Canadian universities an "ideological enema"
Canada’s cities don’t have a spending problem. They have a revenue problem. 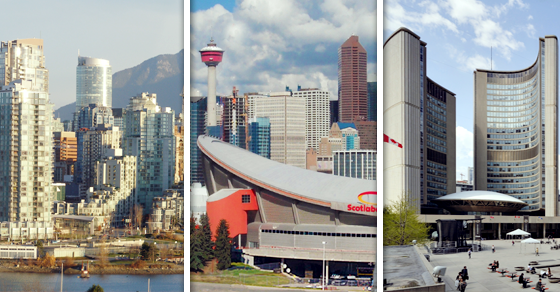 Right-wing politicians are going to tell you Canada's cities have a spending problem. They're wrong. Think Canadian cities have a spending problem? Think again. If you bother listening to right-wing politicians and pundits, they’ll always tell you the reason cities are facing budget problems and growing debt burdens is because City Hall is just spending too much money.